Global Advanced Research Journal of Biotechnology (GARJB) publishes original scientific articles, review articles and short communication that are not under consideration for publication elsewhere. Global Advanced Research Journal of Biotechnology (GARJB) publishes articles (monthly) in all subject areas in our open access journals. 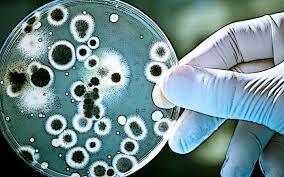 Global Advanced Research Journal of Biotechnology is a high quality scientific journal which publishes original research on all areas of Biotechnology and Biochemistry. It covers molecular biology and the chemistry of biological process to aquatic and earth environmental aspects, as well as computational applications, policy and ethical issues directly related to Biotechnology. 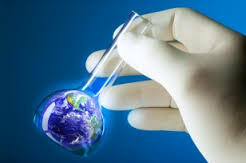 Molecular biology, genetic engineering, microbial biotechnology, plant biotechnology, animal biotechnology, marine biotechnology, environmental biotechnology, biological processes, industrial applications, bioinformatics, biochemistry of the living cell, bioenergetics, Inorganic biochemistry, Innovation in biotechnology and bio-ethics, biotechnology in the developed and developing world, management and economics of biotechnology. Political and social issues and others are some of the main subjects considered. The Journal welcomes the submission of manuscripts that meet the general criteria of significance and scientific excellence. Papers will be published after editors acceptance. All articles published in GARJB will be peer-reviewed. The Global Advanced Research Journal of Biotechnology will be published monthly (one volume per year) by Global Advanced Research Journals.